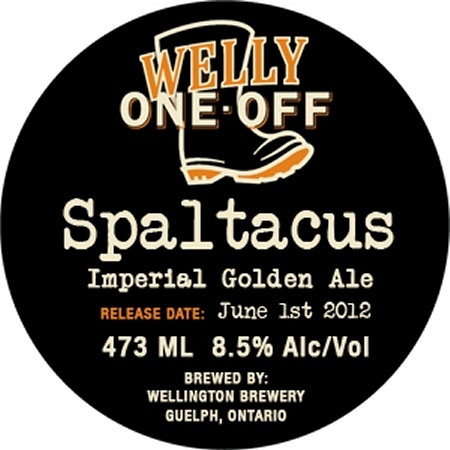 GUELPH, ON – Wellington Brewery has released the newest installment in the Welly One-Off Series of limited edition beers. We took a little known hop, German Spalt, and gave it the sole opportunity to lead our first single-hop beer. Using an absurd amount of hops, the bouquet is confident without being arrogant and boldly displays both piney and citrusy notes. The golden colour comes from an assortment of pale malts and a touch of wheat. Spalticus is available exclusively at the Wellington brewery store (950 Woodlawn Road West, Guelph) in a limited run of 1000 473 ml cans.